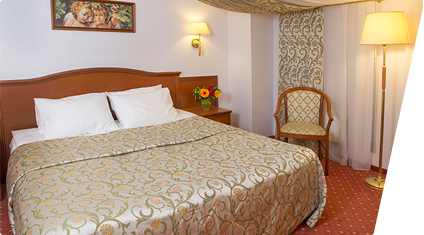 Junior Suite room is an elegant and spacious room at our hotel with a beautiful view at Moscow! The room is separated into bedroom space and living space - for you and your guests. 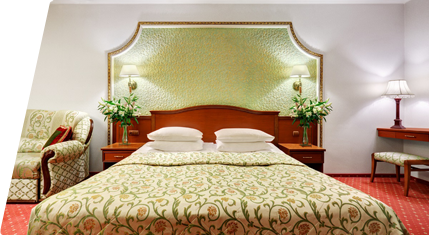 The “bedroom” zone with a wide bed and comfortable soft furniture will be especially appreciated by those keen on classics and laconism. Suite area – 38 m2. Price – from 9 900 RUR.